MMA star Conor McGregor turned himself in to police in the wake of a backstage melee he instigated that forced the removal of three fights from the UFC's biggest card of the year. CBS New York reports that a video posted on Instagram shows a man holding a metal barricade charging toward a bus full of fighters. A second video shows the bus starting to drive away, but a crowd follows and one person flings a metal cart into the window. That person appears to have been the UFC's most bankable star. "It's disgusting, and I don't think anybody is going to be huge Conor McGregor fans after this," CBS New York quotes UFC President Dana White as saying on ESPN. White said the notorious MMA fighter stormed the loading dock at Barclays Center in Brooklyn, N.Y. with his entourage after a press event for UFC 223, as fellow fighters were boarding buses. McGregor was charged with assault and criminal mischief, as was a second man, Cian Cowley. 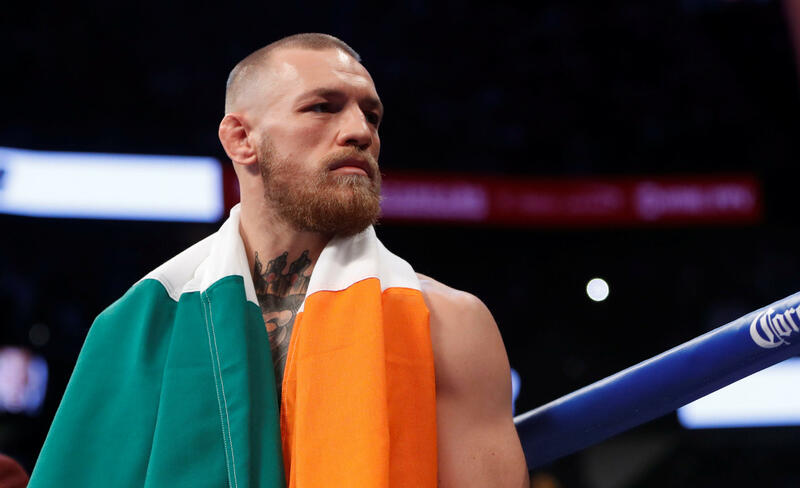 The New York Police Department said McGregor threw a hand truck at a bus, causing minor injury to an individual on the bus. UFC said three fights on Saturday's UFC 223 card have been scrapped as a result of the incident. McGregor hasn't fought for UFC since November 2016 and was stripped this week by UFC President Dana White of the 155-pound championship he had never defended. White also said this week he didn't expect McGregor to attend Saturday's fights. "A decision was made by the New York State Athletic Commission to pull me from UFC 223," Chiesa tweeted. "I'm devastated to say the least. showtimepettis I hope to run this match up ASAP. June 9th in your backyard. That's all I have to say for now. Much love."